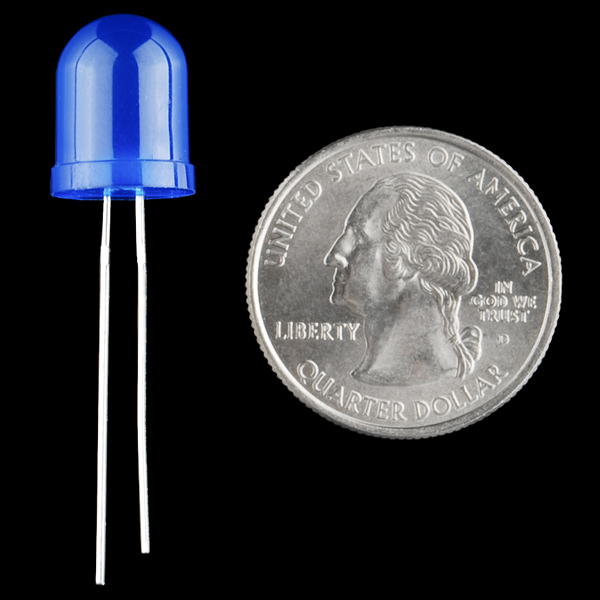 Check out these big 10mm through-hole LEDs! 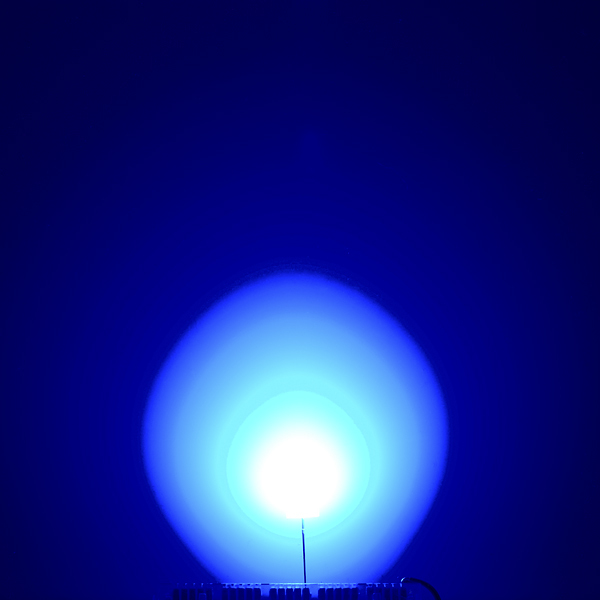 The opaque epoxy package causes these LEDs to have a soft, diffuse glow. These are really poor quality LEDs. I have had about 1/4 of the leads break off before I could even get them situated into a project. Maybe its too much to ask- but what about a photo or video showing this turned on at a specified current in comparison to the high brightness LED? Comparing these to the high brightness (10,000 mCd) LEDs is an apples to oranges comparison. The high brightness LEDs have 4 LED chips and really can be used for some illumination applications; but they're not good for indication applications because they are blinding to look at directly. 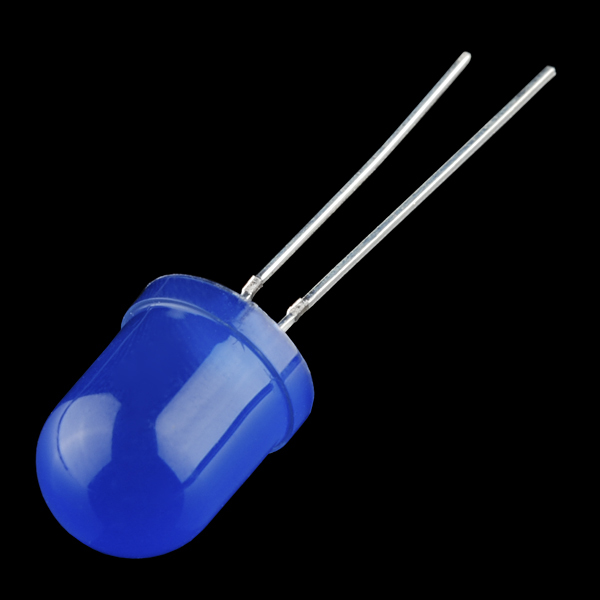 These LEDs are about 70 times dimmer than the high brightness LEDs and are only good for some indication applications. Because of the blue housing, it can sometimes be difficult to tell if these LEDs are even on. 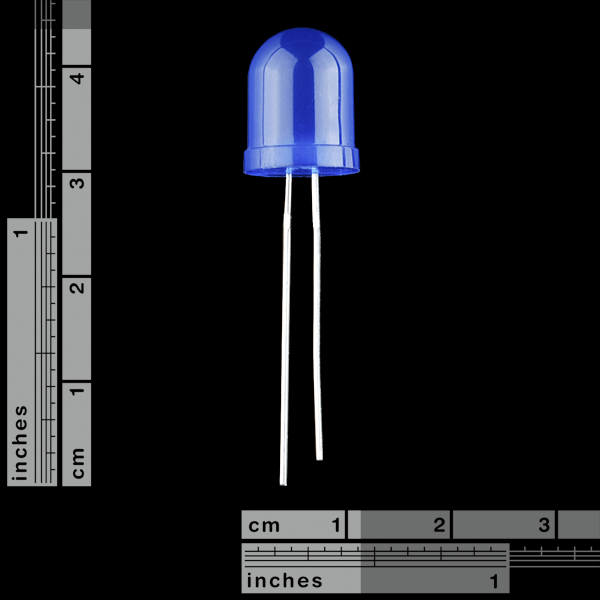 These are what we used to call "grab bag" LEDs. They're very cheap, low efficiency, and dim. There are much better 10mm LEDs available for less elsewhere. And these should really be rated at only 15 mA. Operating them at the maximum continuous current of 20 mA will cause them to dim significantly over time.